Propel Businessworks is all about planning, helping you promote, and seeing you prosper. It's what we're devoted to and what we're here to accomplish. The words themselves have meaning, and we bring meaning to them with the projects, services, and support we offer. 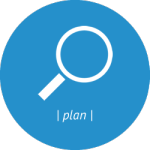 PLAN | plan (noun): A detailed proposal for doing or achieving something; an intention or decision about what one is going to do. Have an idea? Need help making it happen? Every entrepreneur, every idea, and every business needs a plan. Propel helps you build a solid foundation with efficient and effective preparation geared around your business model, target, and approach. Planning is designed to ORGANIZE and DEVELOP and LAUNCH your vision. With planning services designed to get you moving, focused, and efficient, we become the strategic team you want in your corner. 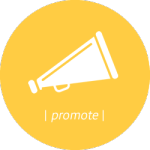 PROMOTE | promote (verb): To support or actively encourage; give publicity; further the progress of. Do you have news, products, or services you need to get the word out about? Need to reach your target audience more effectively? Don’t have time to do it all yourself? Good broadcasting is consistent, strategic, and efficient, and that’s where Propel comes in. We help you analyze your current situation, identify recommendations for how to do it better, then we help COMMUNICATE and MANAGE your message with expertise and accuracy. We become your “street team,” championing your business efficiently and effectively as often as needed. 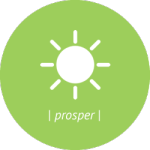 PROSPER | prosper (verb): To succeed and be financially successful; to meet goals and own them. Do you wonder what it takes to see radical progress? Are you ready to move your business from surviving to thriving? Through our planning and promotion services, we help you FINE-TUNE your approach, PINPOINT the right answers for your business, and IMPLEMENT strategies that work. Prospering is all about equipping you with resources and assisting you in your graduation from small business to defined business. As a matter of fact, Planning, Promoting, and Prospering is so important to our business and we believe in it so much that we've even launched a sister company with that very name. Visit PlanPromoteProsper.com to find out how you can partner with us to provide content marketing plans and management to your clients.